Does migraine cripple your day quite often? Worry Not! Simple and easy changes in your diet plan can help combat even a difficult migraine. Understand, and be more aware of your intake so as to gain relief from painful migraine attacks. .A good reason why one should look into food habits rather than medication would be that drugs prescribed for migraine most often contain analgesic and ergotamine compounds. These drugs when taken continuously may aggravate the occurrence and in no time you are trapped in a vicious circle. 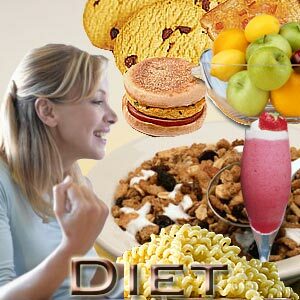 Read up to learn more about a migraine diet. Research has proved that food reactions have major impact on migraine hence gradual and progressive symptoms are witnessed by avoiding pain inducing dietary items. Excessive dilation of blood vessel causes migraines. Histamines and/or vasoactive compounds found in cheese, beer and wine are said to expand blood vessels resulting into migraines. Chocolate is often sited as a common migraine trigger. Tyramine is the common food trigger for migraines. An amino acid, tyramine is said to dilate blood vessels and reduce serotonin levels. Food containing tyramine chemicals such as yogurt, smoked cured or pickled meat, soy sauce and phenelethylmine chemicals found in citrus fruits chocolate cocoa canned berries are often to be blamed. Monosodium glutamate, a food additive commonly present in packaged/frozen food also causes migraines. Free fatty acids in the bloodstream are considered yet another trigger for migraine headaches. Common migraine triggers are cultured dairy products, caffeine, chicken livers and organ meats, smoked or dried fish, potato chips and nuts. Few food items have soothing effect and by adding them to your diet makes you less susceptible to migraines. First and foremost, avoid possible triggers. Act as your own body monitor and identify the foods causing migraines and eliminate them one by one. Feast on fish ...fish oil keeps migraines at bay. So does ginger which has the capacity to reduce inflammation and pain. Peppermint, popular for its aroma and cooling properties acts as an excellent remedy. Pepper, king of spices contains an ingredient called capsaicin which can ward off the pain as quickly as it came. Do not let hunger pangs strike you. Skipping food may lower the blood sugar levels contributing to migraines. Having small meals at regular intervals holds the key. Calcium and magnesium rich foods are said to treat and prevent migraines. 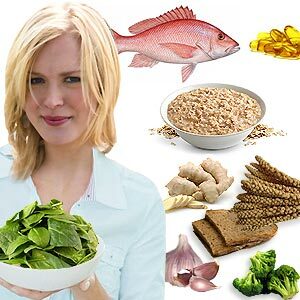 Green leafy vegetables, nuts and whole grains have high content of magnesium. Of course, calcium in the form of milk and other diary products may be avoided as they are more of a trigger than a preventive. 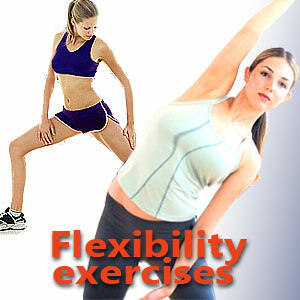 Regular supplements of magnesium and riboflavin are recommended. Additional supplements of evening primrose oil and vitamins C, B6 and E are also linked to reduced instances of migraine.